Properties in Whananaki South average 4.6 out of 5 stars. Private, seaside cottage with stunning views. Property 5: Private, seaside cottage with stunning views. Property 14: Spectacular Woolleys Bay! Cedar Heights Chalet with Elevated Ocean Views in a Native bush setting. Property 15: Cedar Heights Chalet with Elevated Ocean Views in a Native bush setting. Quintessential Kiwi Bach right on the Beach !! 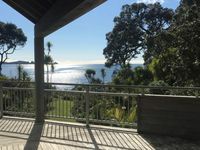 Property 28: Quintessential Kiwi Bach right on the Beach !! Property 29: Absolute waterfront, private paradise. Amazingly Waterfront - swim off your front lawn! Property 30: Amazingly Waterfront - swim off your front lawn! Stunning Ocean Views and close to the best beaches! Property 35: Stunning Ocean Views and close to the best beaches! The classic Kiwi Bach, love the lifestyle ! Property 36: The classic Kiwi Bach, love the lifestyle ! Beach Life Matapouri - a minute's walk to Matapouri Bay! 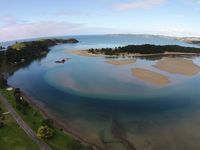 Property 45: Beach Life Matapouri - a minute's walk to Matapouri Bay! Great location, tidy house. Has everything you need. Will definitely be back! We loved everything about this beautiful property. Everything exceeded our expectations and we had a lovely long weekend. Thank you so much for sharing your patch of paradise!! We are already planning our next visit.